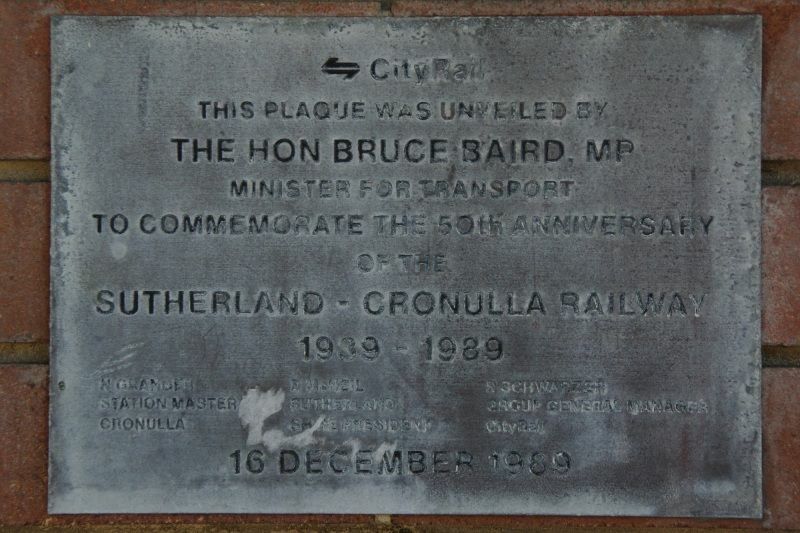 A plaque commemorates the 50th anniversary of the opening of the Sutherland - Cronulla Railway in 1939. 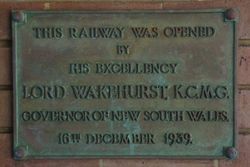 The first new railway line in New South Wales for over seven years was opened today by the Governor, Lord Wakehurst. 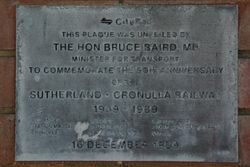 It runs from Sutherland to Cronulla, a distance of 6½ miles, and serves a district that is in parts sparsely populated. 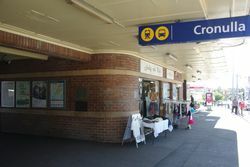 There are six stations situated on the line and the terminal point, Cronulla, has a platform that ranks second only to Wynyard as the longest in the State. For years residents in the districts between the two stations have been served by steam trams and motor buses, necessitating a long journey to the city. It will now be a comparatively short trip in the train. The Maitland Daily Mercury (NSW), 16 December 1939.